We believe great Mercedes service and care can be affordable. We are your dealer alternative when it comes to quality Mercedes service & repair. We can help you keep your Mercedes running smoothly on the road and still leave you some budget to have fun when you arrive. Waterloo Automotive is committed to expert training and OE quality parts. That's why many Mercedes Benz owners count on Waterloo Automotive to care for their Mercedes service needs. Our friendly staff and commitment to the customer is why they keep coming back. 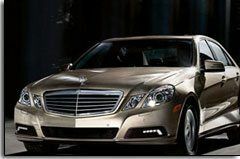 We take great care to make sure our Mercedes service meets or exceeds the requirements set by Mercedes Benz. We care as much about your Mercedes service as you do! Please don't hesitate to bring in your other makes and models! We'd love to provide the same level of care for those cars too!